According to study, “Middle East and Africa IoT in Automotive Market (2018-2023)” some of the major companies that are currently working in the Middle East and Africa IoT in automotive market are Cisco Systems Inc., Microsoft, IBM Corp, Tom Tom N.V., Ford, General Motors, AT & T Inc., Audi AG, Google Inc., NXP Semiconductors N.V.
IOT permits entrance of things from a distant place through computing strategies and network infrastructure. It assures improved efficiency and accuracy to send and receive data without human interaction that helps accelerating the integration of the world into computer based system. 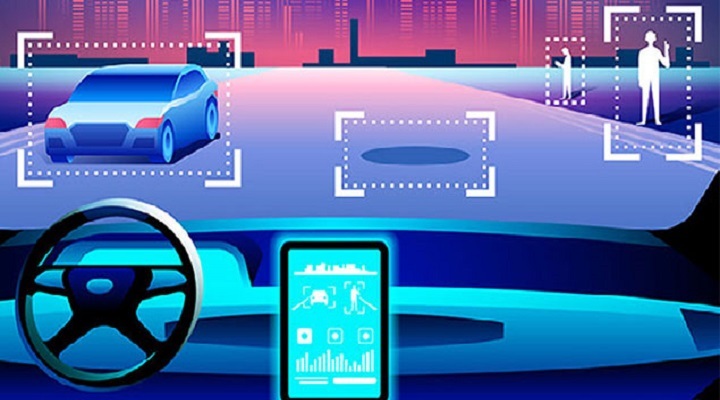 Additionally, IOT in automotive sector is used for enabling the vehicles to connect with the exterior world and enhance driver connectivity and safety. The demand of connected vehicle is driven due to increase in self-driving and concurrent traffic alerts to improve the driving experience. The Middle Eastern countries are major importers of significant technologies and cars from Europe and U.S. Some of the key countries such as Saudi Arabia, Qatar and United Arab Emirates (UAE) are leader in use of technologies for automotive sector. Additionally in Africa countries witnessing growing in traffic accidents making it risky to drive in countries such as South Africa, Kenya, Sudan and Ethiopia. Based on the connectivity form, the IOT in automotive market is segmented into integrated, tethered and embedded. The integrated connectivity offers access to navigation services and remote control services. The tethered connectivity deals many internet protocol (IP) services and the embedded solutions provides on road experiences for passengers and drivers. In addition, on the basis of application, the market is segmented into telematics, navigation, fleet & asset management, predictive maintenance, collision avoidance, entertainment and infotainment. Some of the new trends are involve digital dashboards, deployment of advanced navigation systems and premium infotainment systems etc. Additionally, public and private organizations are progressively more digitalizing their productions to automate their functions and improve efficiency. Moreover, political unrest inhibits the development of this market owing to low penetration rate in various parts of this region. The countries such as Congo, Ghana and Egypt add political risks to Multinational Corporations due to venture into a Greenfield, joint venture or Brownfield investment in the automotive industry, creating bad impact on market. The market of IOT in automotive is mainly driven by increasing in government funds for better traffic management. Use of safety & security features of the passengersinvestment and funding in connected vehicles, increasing new innovative products, and increasing demand for smart-phone features in cars are mounting significantly led to the development of the market. Apart from advantages, some of the major restraints factors include lack of infrastructure, high maintenance cost & capital expenditure, additional cost burden on consumers, government regulations and privacy & security issue etc. In addition, some new opportunities are emergence of 5G technology and collaborations between various industry players. The UAE-Dubai are major regions for the adoption of IOT. It is estimated that the market will be grown at a CAGR of 19.29 %, with revenue of USD 2.7 billion, by 2023. In upcoming years, it is expected that IOT in automotive market will be grown increasingly due to high disposable income of people and technology advancement.